First, in 1817 Baron Karl von Drais invented the „Running Machine”, also known as Draisienne. It was not exactly a bicycle though: it has the shape of a bike, but to ride it you had to walk. Basically it was a balance bike, just for adults. A few decades later came the Velocipede: you probably know that with the ridiculously huge front wheel, and admit it, you’ve always wanted to try it once. You can find and try more comfortable versions today – back in the days it wasn’t the comfiest ride to be honest, just think about how you don’t like to ride your bike on cobblestone, then add some wooden frame and metal tires to the picture. No wonder it was also called the „Boneshaker”. Ten years later – when they found out the Velocipede is not that convenient to ride – the high-wheeled bicycle was born, and it was waaay more enjoyable than the previous prototype, as it finally had rubber wheels! The ridiculously big wheels stayed though because they logically thought that with bigger wheels you don’t have to rotate the pedals that often but you can travel farther with just one strike. Then in 1885 the Rover Safety bike – invented by John Kemp Starely – had the closest shape to bikes as we know it today. Two same-sized, not so enormous wheels and a similar frame. 3 years later John Boyd Dunlop invented pneumatic tires, which you can fill with air – that sounds pretty familiar, doesn’t it? 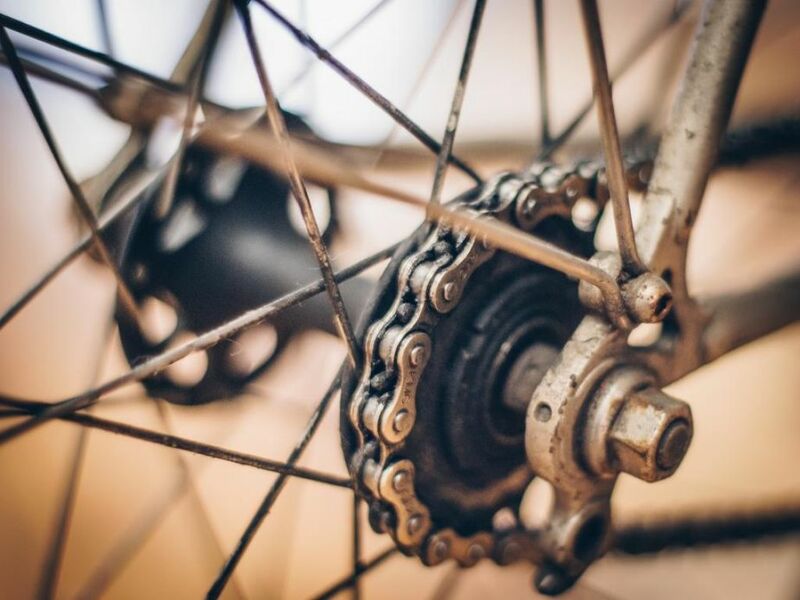 A couple of decades later – when, for example, the first bike for children was made and it was a great success – in the 1960s bike racing became very popular and feature dropped handlebars, thin tires and bike frames as light as a feather. Then came the ’80s when bike racing wasn’t the only bike sport anymore, extreme sports and mountain biking started to rise. Everybody wanted a mountain bike back in the days, right?